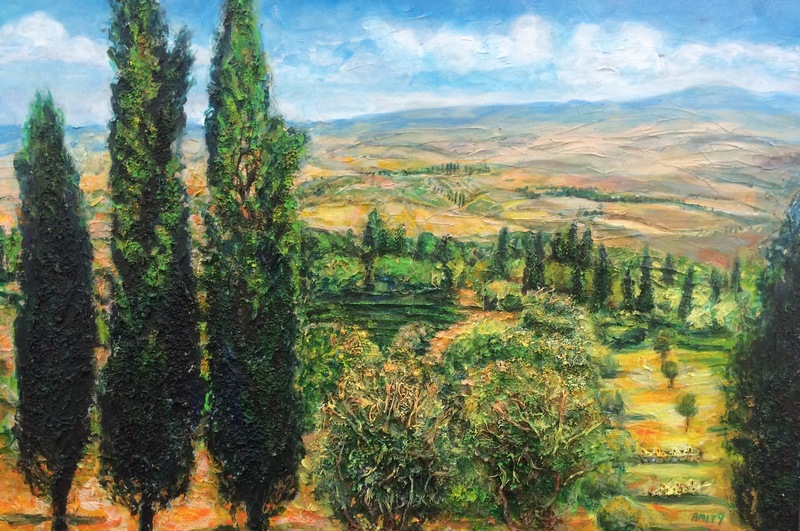 Rolling hills, cypress trees, vineyards and castles are part of Tuscany’s lush tapestry. 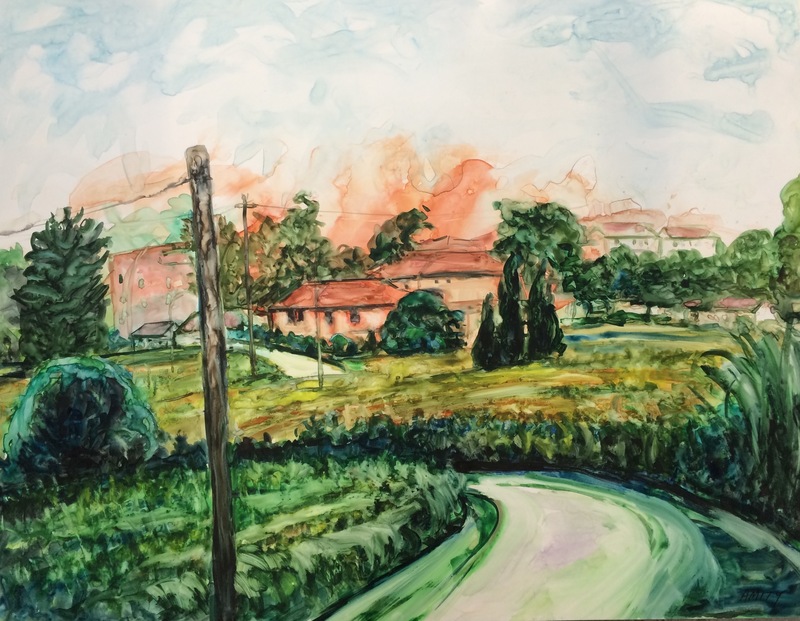 I sketch on location, photograph scenes from moving vehicles and paint on hillsides. 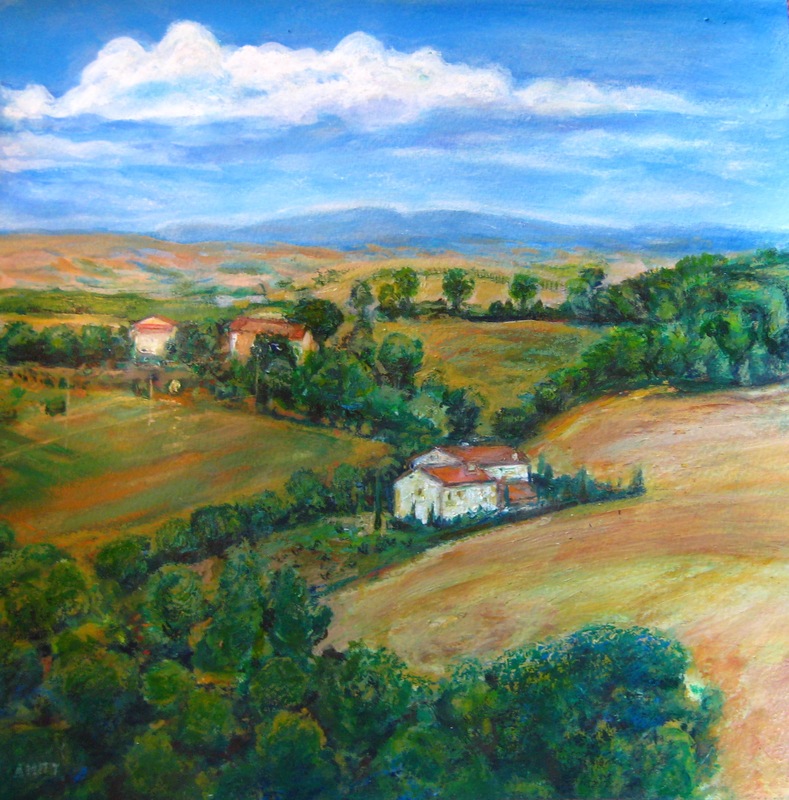 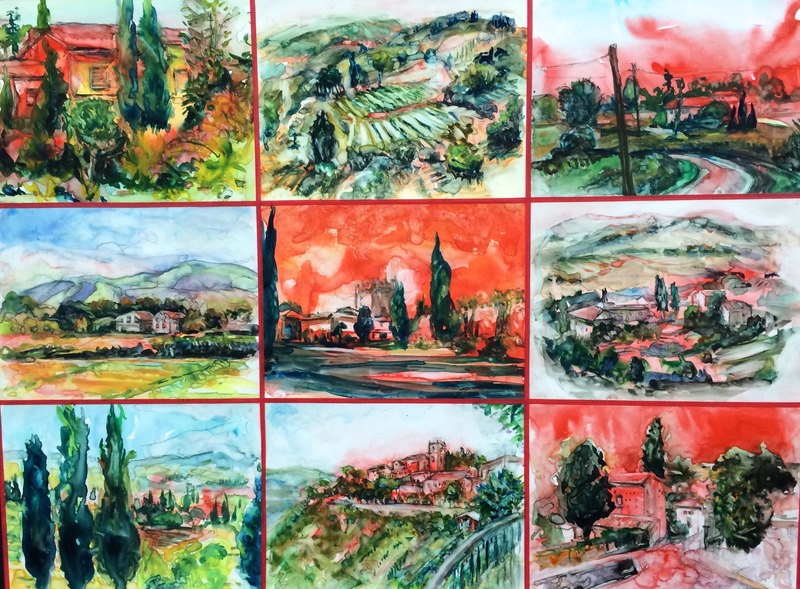 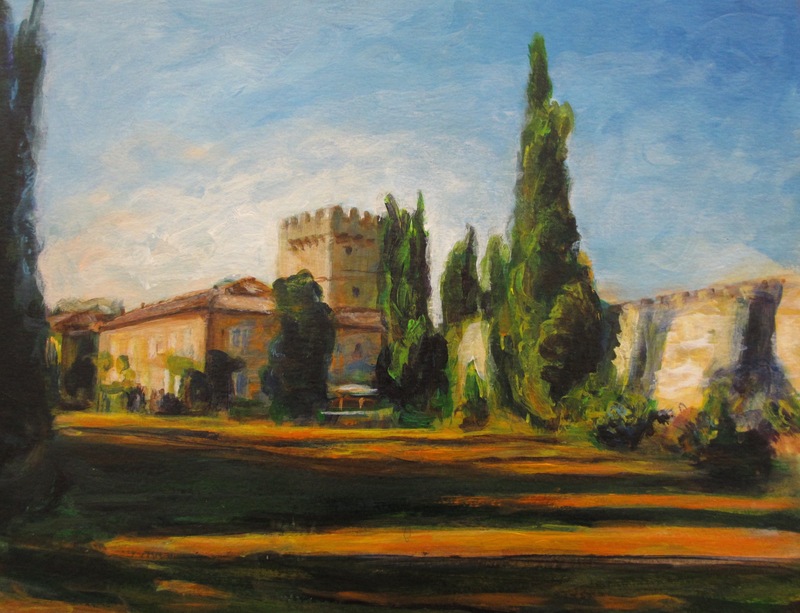 From loose interpretations of color and form to more exacting replications of scenes, I aim to capture a sense of the Tuscan landscape.